Department of Applied Science, Indian Institute of Information Technology (IIITA), Allahabad, Uttar Pradesh, India. INTRODUCTION: A biocompatible material also referred as biomaterial is a natural or synthetic material which can substitute a part of a living system or to function in close profound contact with living tissue. Biocompatible materials are designed to interface with biologically active systems for evaluating, treating, augmenting or replacing any tissue, organ or function of the body. According to Clemson Advisory Board for Biomaterials, a biomaterial is defined as “A systemically, pharmacologically inert substance designed for implantation within or incorporation with a living system”, a definition adopted at the sixth Annual International Biomaterials Symposium, April 1974 1. Later, another researcher Black defined biomaterial as “any pharmacologically inert material, viable or non-viable, natural product or man-made, that is a part of or is capable of interacting in a beneficial way with a living organism” 2. Williams has defined biomaterials as “Any non-living materials used in medical devices intended to interact with biological systems” 3. Researches in the scope of biomaterials are incorporative, combining several branches like materials science, chemistry, biology and medicine. While choosing biomaterials for making any medical device, the first thing which must be kept in mind is its acceptability by human body. Three factors determine the success rate of any biomaterial made medical devices or implants (i) Biomaterials chemical and biological properties, (ii) Implants biocompatibility, (iii) recipients health condition. Tissues are grouped in two classes- hard and soft tissues. Hard tissue example includes bone and tooth, skin, cartilage, blood vessels and ligaments. Higher elastic modulus and tensile strength are found in hard tissues than soft tissues. As metals and ceramics have higher elastic modulus and tensile strength, they are chosen for hard tissue applications and for soft tissue applications polymers are good choices. The primary motive behind using biomaterials is replacing injured tissues with the help of some through some pathological means. Biocompatibility is important because a medical device (or component materials) should be harmless with respect to patients. It should not be toxic or injurious and does not cause immunological response. Biocompatibility is important because entire biological systems can become non-functional due to systemic toxicity. The point where medical device is placed is at distant location from the region where there is a possibility of occurring systemic reaction. So, sometimes it is hard for a doctor to tell that a medical device can be the reason for a toxic reaction. The individual material inside a medical implant or device may be biocompatible but when they are combined with other materials making the medical device, they may interact with each other which can make the medical device incompatible for use in humans. So, there is a need of biocompatible testing of entire medical device. Extractable compounds and agents are used which may affect biocompatibility. For example, polymers are most widely used in medical devices and considered as biocompatible but when, plasticizer or other materials are added they may produce toxicity. For obtaining U.S. FDA’s approval, biocompatibility is considered an important criteria. Carcinogenicity should be absent (cancer causing ability). Immunogenicity should be absent (recognition of an external factors should be absent which is capable of causing rejection). Teratogenicity should be absent (birth defects causing capability). Toxicity should be absent (incapable of promoting any inflammatory or toxic response). Complete metabolization of medical implant is necessary after performing its function in the body. Metallic biomaterials: Metallic biomaterials possess very good thermal and electrical conductance. 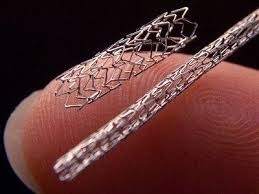 This is the reason for using them in medical devices. Due to the presence of independent electrons, they are very efficient in transferring thermal energy and electrical charge. Presence of binding forces due to movable electrons helps in holding cations with each other. The electrostatic attraction between the cations are strong which can be depicted from their compact arrangements of atoms. This results in high melting point and specific gravity. Metallic bonds have non-directional nature so, plastically deformable solids can be formed by changing metal ions places without disturbing its structure. Some metals have superb mechanical properties and less susceptible to corrosion, hence show resistance. So, they are used for tissue replacement which includes total hip and knee joints. They are also used for healing fractures such as fixing bone plates and screws, fixing vertebral column and spinal cord, and in dental related problems. Devices such as catheter guide wires, vascular stents, dental braces and bridging wires, and cochlear implants uses metallic alloys. “Vanadium steel” was the first metallic alloy for manufacturing Sherman plates and screws for bone fracture. Most biocompatible material is Titanium as it possess very good strength and low density value. These encompasses water repelling materials like α-hydroxyacid [it is a family which consists of poly(lactic-co-glycolic) acid, PLGA], polyanhydrides, and many others. Polyvinylchloride (PVC)- They are used for making bag containing blood and solutions, packaging used for surgical devices, blood purification devices, catheter. Polyethylene (PE)-They are used for making bone related implants, bottles used in pharmaceutical industry, pouch, containers having flexibility. Polypropylene (PP)- They are used for making syringes which can be disposed, membrane used for providing oxygen to blood and artificial vascular grafts. Polystyrene (PS)- They are used for making filter devices and flasks used for tissue culture. Polytetrafluoroethylene (PTFE)-They are used for making Catheter and artificial vascular grafts. Polyurethane (PU) and Polyamide (nylon)- They are used for making films used for packaging, sutures and molds. Polyethylenterephthalate (PET)- They are used for making Implantable sutures and heart valve. (2) bone cement is made from reinforced methyl methacrylate and ultra-high-molecular-weight polyethylene, and (3) orthopaedic implants which have porous surfaces. Swelling is caused by absorbing moisture. This property is used in dental applications. Healing can be promoted by flexible composites. Biocompatible materials of plastic origin have given a more better way of enhanced patient care. Effective medical solutions for larger population. Particular monomer units, catalyst and additives can prove to be toxic after degeneration. Accumulation of elements may occur in some cases. Difficult sterilization in few cases. Worldwide, doctors have received millions of cases of peoples suffering from problems related with bone and joint replacement and inflammation. This condition is predominantly found in those people who are in their 50’s in developed countries. 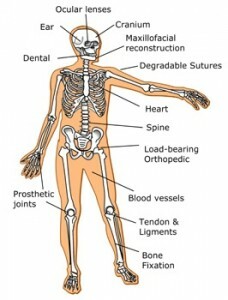 Treatment of bone related diseases is mostly possible with surgery which includes total joint replacement. So, biomaterials compatible with bones are used as constituents for making implants which can then be implanted in the required places to perform certain biological functions. 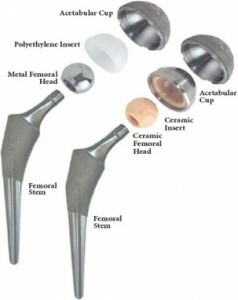 In total hip replacement: 9 this is one of the major procurement of 20th century in orthopedic surgery. The upper femur bone and pelvis areas collectively are redesigned and replaced with metallic polymer implants having cobalt alloys and ceramic inserts. 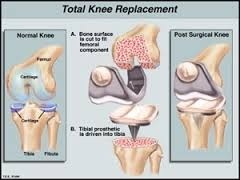 In total knee implants: 10 the lower femur, tibia and the knee cap i.e. patella are substituted with metallic and polymeric compounds, whereas the ligaments are left unchanged. Cardiovascular related diseases damages the heart which leads to loss of heart functions. With the help of medicines, symptoms can be alleviated but it would be more promising to if root cause can be found and treated for best results. Other than heart transplant, surgeons are using wide varieties of methods for treatment of various heart areas such as the septal wall for ventricles and valves. Titanium or carbon based mechanical valves are used. They have long lasting property i.e. upto 25 years and are considered string than biological valves. 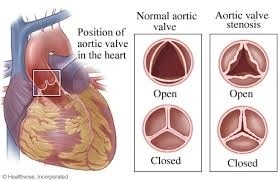 Mechanical valves implanted patients a should take proper medicine as described by doctors. (e.g., Coumadin®; Bristol-Myers Squibb). See Fig. 4 below. Injectable biomaterials: Injectable biomaterials are being widely used for treating myocardial infraction. They are made up of hydrogels which consists of alginate, fibrin, chitosan, collagen or matrix gel and self-assembled peptides generally in the form of nanofiber. They are being widely used due to their biocompatibility, capability of providing beneficial chemical environment. They are delivered noninvasively. Stent implants: The stent is a very small mesh of metals which is raised on a dilated balloon and subsequently introduced into the dilated arterial site. 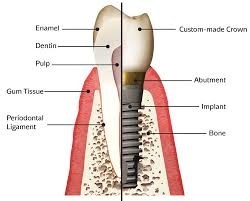 Peoples are using osseo-integrated titanium screw implants and this is considered to be the most widely used artificial implants.12 Among all dental implants, Titanium based implants are increasingly used. Some ceramic implants are also used. Various hydroxyl-apatite or tri-phosphorous complexes, integrated dental implants are also made. Contact lenses are the 2nd most commonly used means for treatment of ocular defects 13. They also have an application in cosmetics, as well as, they are used for eye protection and healing of corneal lesions 14. Thus there are PMMA based rigid lenses, soft lenses made of gel like plastic biomaterials and rigid gas permeable(RGP) lenses, constituted of hydrophobic plastic polymeric materials, used in treatment of presbyopia and severe astigmatism. ‘Breathing lenses’ 15 a terminology for silicon hydrogel soft lenses, is the best known developments in the field of contact lenses. Cataract is a disease related with eye which leads to partial or complete loss of transparency of the eye or of ots capsule. The most effective treatment for this disease is surgery which involves lens removal followed by artificial lens replacement. Artificial lens equipped intra-ocular lens is capable of curing cataract and help in retaining the normal eye function. 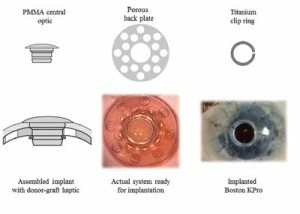 An artificial cornea, Alphacor, composed of biocompatible hydrogel. It has a centre zone which is transparent with peripheral refractive properties. It has a stimulant property which restores eye onto the foreign body. Various 16 polymers and hydrogels have been used as constituents. Hydrogels have very good rate controlling drug release kinetics. In scaffolds, drugs are incorporated and are distributed entirely in the matrix made up of polymer or drugs can also form covalent bond with the matrix. Various other forms have also been developed that can provide variations in the quantities of drugs to be delivered. Example: Drugs loaded in ceramic biomaterial (figure below). As tissue engineering matrices and systems: Polymeric scaffolds 17. Medical practitioners and researchers have used biomaterials in medical and health care sector from extremely long time. Over past several years researchers have made transitions from the use of metals to natural tissues and they have replaced mechanical valves from prosthetic valves. But the major drawback suffered by these materials is that they fail after 5-7 years of implantation. Now, researchers have proven that the performance and efficiency of these materials can be enhanced by altering and modifying their chemical and mechanical properties and nature. Researchers at Rice University, have studied collagen fibres and about the mechanism of self-assembly of mimetic peptides into helices so that they can create sticky ends. The property of self-assembly enable them to assemble themselves in form of fibres or gels which can further be used for various beauty products and regenerative medicine18. Researchers from the Lawrence Berkeley National Laboratory and University of California-San Diego in collaboration with the U.S. Department of Energy, discovered resistance properties of the skin towards any damage. In a Berkeley Lab, they have hypothesized that this property can be used in improving characteristics of artificially made skin or can be used in making materials used in textile electronics. Strong 19 and resorbable biomaterials have been found useful for making implants. Two biodegradable polymers has been used to make surgical mesh by a Swedish company. This can be used in tissue engineering to create a support vehicle for tissue for 6 to 9 months. One of the polymers is trimethylcarbonate (TMC) which have quick dissolving property and can effectively work for 2 months before getting degraded. 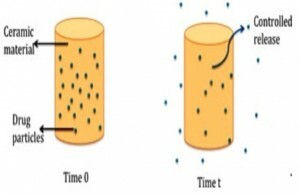 Second polymer is a TMC NAD-lactide which has elasticity property and can give support for a period of 6 to 9 months. Their complete degradation period is 3 years. They have potential use in hernia disease, reconstruction of walls, and in breast surgery. At Qingdao University of Science and Technology in China, a bioresorbable cardiovascular stent was made from a terpolymer. This terpolymer is made from three different monomers i.e. lactide, TMC, and glycolide(PLAA-TMC-GA terpolymer). CONCLUSION: Over many years, the use of biocompatible polymers has expanded considerably. Advanced and smart stimulus responsive (physical, chemical and biological stimuli) polymers are being developed and worked upon. Since, biocompatibility plays a significant role in evolution and growth of certain medical devices and implants, the full medical device for human body should be judged on the basis of its biocompatible behaviour. Here, understanding and grip of international standards is very vital for human application of these devices. ACKNOWLEDGMENT: The authors gratefully acknowledge Dr. Nidhi Mishra (Assistant Professor, IIIT Allahabad) for contributing her valuable time in completion of this review article. CONFLICTS OF INTERESTS: All authors have none to declare. Chandra P. Sharma: Biomaterials and Artificial Organs: Few Challenging Areas. Trends Biomater. Artif. Organs, Vol 18 (2), January 2005. Black, J.: The Education of the Biomaterialist: Report of a Survey. Journal of Biomedical Materials Research; 16, 159-167 (1982). Brash, J. L. and Lyman, D. J.: Adsorption of Plasma Proteins in Solution to Uncharged, Hydrophobic Polymer Surfaces. Journal of Biomedical Materials Research; 3, 175-189 (1969). Scharnagl, S. Lee, B. Hiebl, A. Sisson, A. Lendlein, J. Mater. Chem. 2010, 20, 8789-8802. G. Griffith: Polymeric Biomaterials. Acta mater. 48 (2000) 263±277. 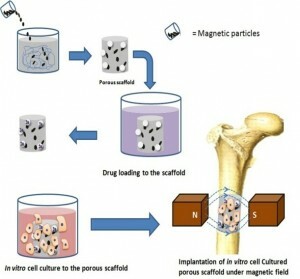 Isikli, C., Hasirci, V. & Hasirci, N. 2012, "Development of porous chitosan/gelatin/hydroxyapatite composite scaffolds for hard tissue-engineering applications", Journal of Tissue Engineering and Regenerative Medicine, vol. 6, no. 2, pp. 135-143. Andres Diaz Lantada: Handbook of Active Materials for Medical Devices: Advances and Applications. Pan Stanford Publishing Pte. Ltd; ISBN 978-981-4303-36-1. Marilyn Haddrill. "Crystalens & Accommodating Intraocular Lenses for Cataract Surgery". All About Vision. Retrieved 2010-05-11. 13. Macsai et al. Visual outcomes after accommodating intraocular lens implantation. 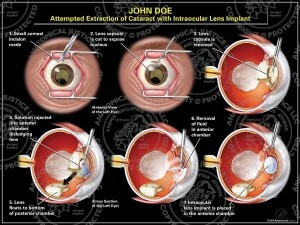 J Cataract Refract Surg. 2006 Apr; 32(4): 628-33. N. Kumar, K. Kratz, M. Heuchel, M. Behl, A. Lendlein: Shape-Memory Nanocomposites with Magnetically Adjustable Apparent Switching Temperatures. Adv. Mater. 2011; 23, 4157-4162. Tronci, A.T. Neffe, B.F. Pierce, A. Lendlein, J. Mater. Chem. 2010, 20, 8875-8884. Pandey E, Srivastava K, Gupta S, Srivastava S and Mishra N: Some Biocompatible Materials Used In Medical Practices- A Review. Int J Pharm Sci Res 2016; 7(7): 2748-55.doi: 10.13040/IJPSR.0975-8232.7(7).2748-55. Authors Address: Department of Applied Science, Indian Institute of Information Technology (IIITA), Allahabad, Uttar Pradesh, India.